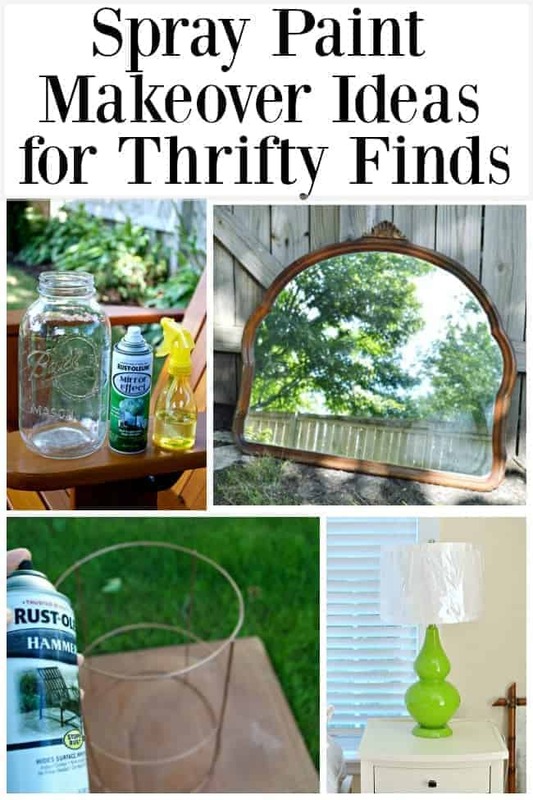 5 easy spray paint makeover ideas from some of my favorite thrifty projects. 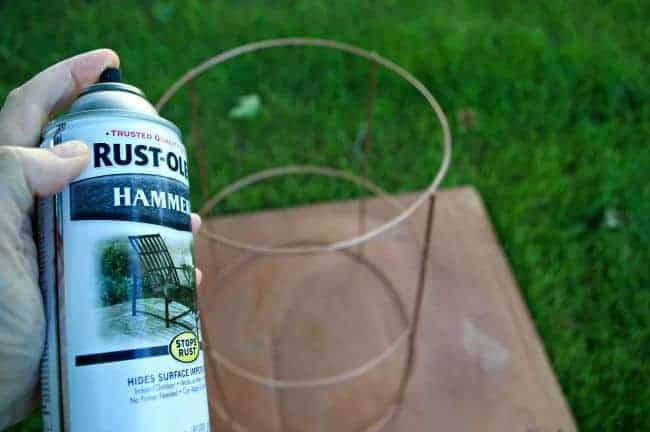 I’ve always loved painting and DIY but I used to hate using spray paint. Ok, maybe not hate but I did have a deep dislike. Give me a can of paint and a good ole’ paint brush and I could paint all day long. Spray paint was a different story though. I had no love for it. It took me a while to get the hang of using it, but I eventually warmed up to the idea. Now I can’t imagine not using it. There’s really nothing you can’t do with a can of spray paint. It can transform even the simplest pieces, and it won’t break the bank. I’ve used it for so many thrifty projects over the years, from a nightstand to a powder room door, and thought it would be fun to look back at some of my favorite makeovers. When we were renovating our kitchen in our Illinois house, I really wanted to have a chalkboard calendar. 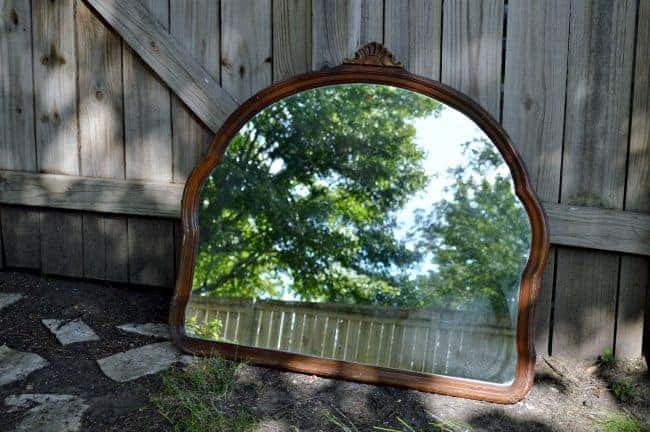 I had an idea in mind but when I spied a vintage mirror in a thrift store, my plans changed. This turned out to be one of my fave projects that I’ve ever done (and it was so easy to do). This was another kitchen renovation project. I searched high and low for a cute lamp for our new kitchen. When I couldn’t find what I wanted I decided to make one with a $1.99 Mason jar that I found at the thrift store. It turned out even better than I hoped. This plant stand idea was as cheap as they come. All I needed was a tomato cage, that we already had, and spray paint…of course. What we got was a one-of-a-kind plant stand. I usually have an idea of what I want when I’m decorating. If I can’t find what I’m looking for, I usually end up making it. 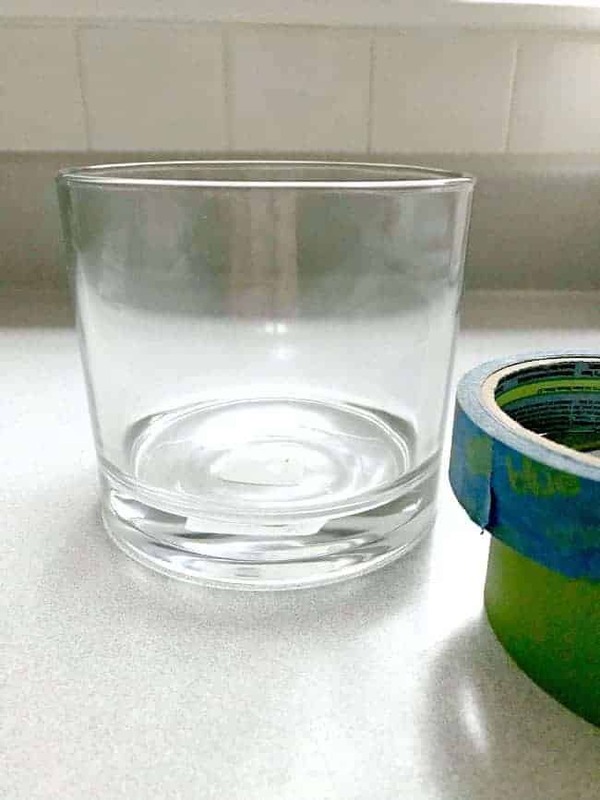 This one was super easy and all it took was an inexpensive glass vase, painter’s tape and spray paint. It turned out to be the perfect piece. 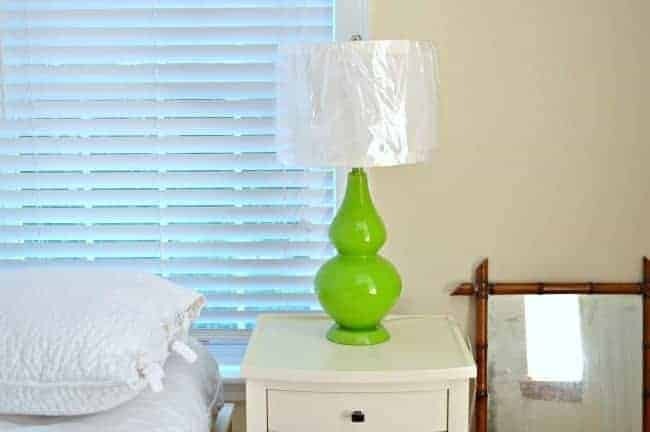 What do you do with a green lamp when you change the decor in a bedroom? You paint it! This one was a bit of an experiment but I love the way it turned out. A huge spray paint win! So, how do you feel about spray paint? Have you done any projects with it? You have so many amazing ideas! I love your spray painting projects. You really are SO talented. I love visiting your blog for fresh ideas. 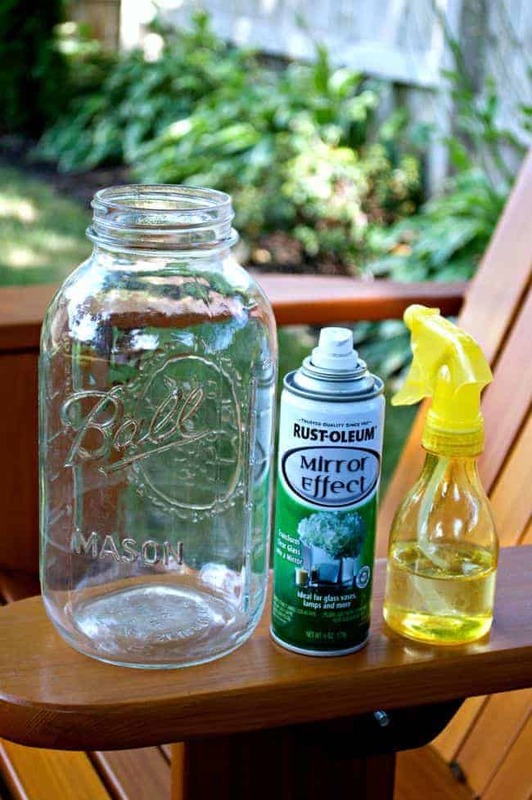 I remember your Mason jar lamp project! That one has always been a favorite of mine. Off to check out the chalkboard. One of my faves too, Jane! Thanks so much for stopping by. I actually love spray paint because I don’t like cleaning paintbrushes! You shared a lot of great ideas, now I just have to motivate myself to do something with all this inspiration. 😉 It’s always so much fun to see what you share for the monthly Thrifty Style posts. I like spray paint and thanks for the ideas, i love your mirror/blackboard. I still am a failure with spray paint. I have never had a success with it. My husband used it for all his painting projects while I slowly but surely painted mine with a brush. 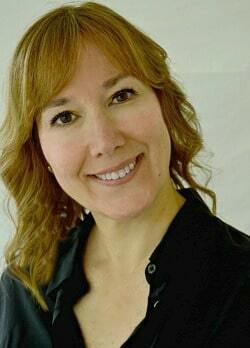 Great round up Kristi! I especially love your painted chalkboard! I still have a love hate relationship with spray paint. I only use it when necessary, but usually love the speed of it. I have had some successes, but more failures usng it!